JTX are one of the most popular selling fitness brands in the UK. 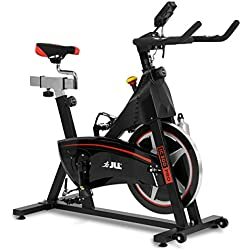 The JTX Cyclo 6 is one of their bestselling spin bikes and it comes with a very good reputation, backed up my many five-star reviews on Amazon. In this review we will be giving you the full rundown of the JTX Cyclo to see if it is all it’s made out to be. 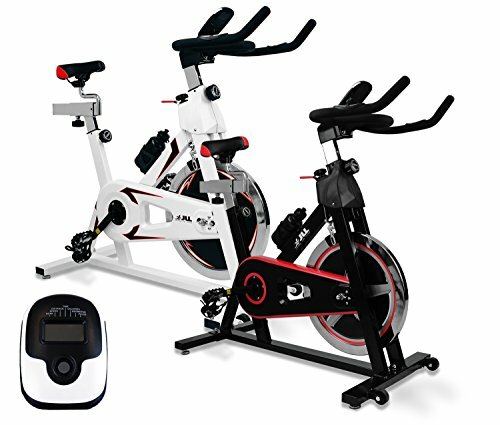 The JTX Cyclo 6 is a gym specification indoor training bike ideal for spin workouts. Dimensions: 126 cm (H) x 131 cm (L) x 65 cm (W). 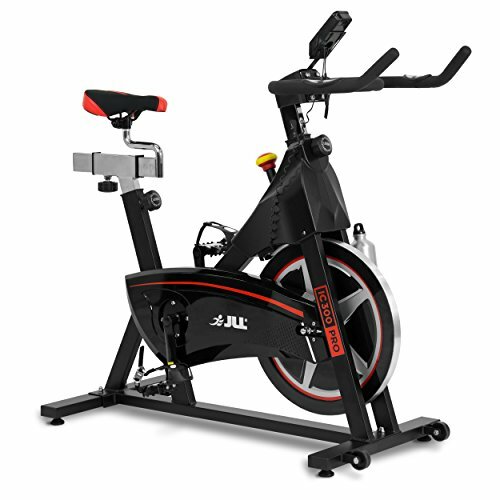 The JTX Cyclo 6 is marketed as a gym spec exercise bike and there is no doubt that it does indeed look like it can live up to that tag. 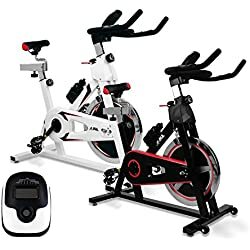 With a sturdy looking design, stylish look and a weight of 64 Kg the Cyclo 6 is comparable to the type of spinning bikes that can be found in gym’s up and down the country. The black gloss and chrome finish is a plus and is a lot more pleasing to the eye than the bright colours of some cheaper exercise bikes. 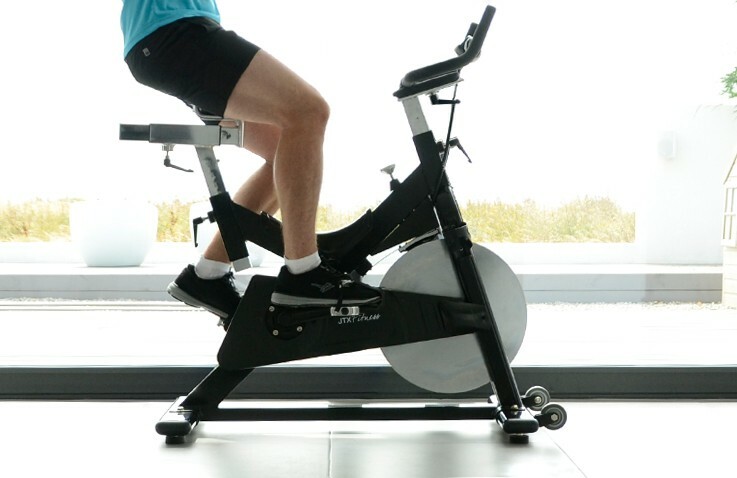 First of all this is definitely a step up from the cheaper budget exercise bikes that are available. 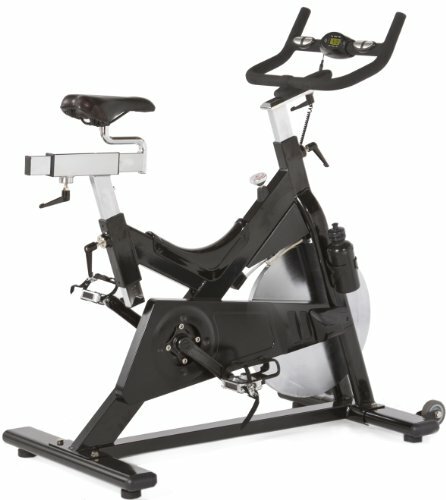 One problem with budget spin bikes is that they tend not to be that sturdy, the JTX Cyclo 6 is the complete opposite. 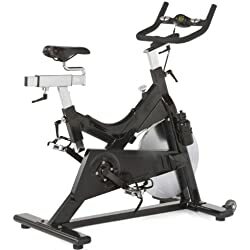 The 64 Kg weight of this beast is twice as much as some other spin bikes and the solid frame and overall design make this one of the sturdiest indoor exercise bikes on the market. 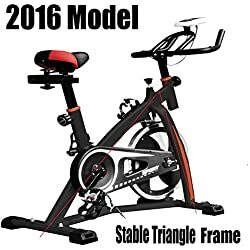 With many reviews saying how comfortable this bike is we were wondering if this was true and we have to agree. The seat is comfortable enough and with the adjustability features of both the seat and handlebars it is easy enough to find a comfortable position. The JTX Cyclo has a massive 22Kg flywheel and this is up there with the heaviest of any models. If it’s a hard workout that is needed this exercise bike will give it and then some more. Most noteworthy and especially relevant is the fact that both the seat and handlebars are adjustable both vertically and horizontally on the Cyclo 6. 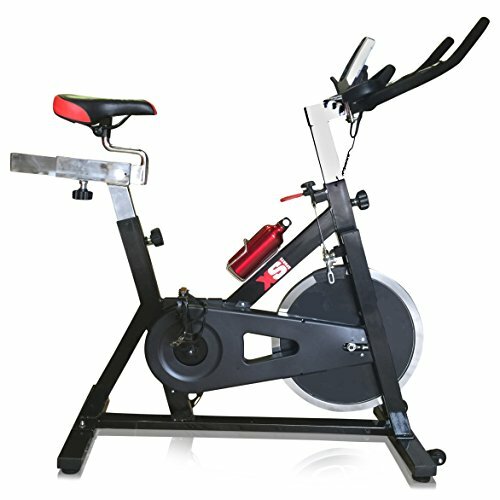 With budget spin bikes there is usually only the option to adjust the handlebars vertically and not horizontally. Due to this it is much easier to find that perfect riding position which in turn can lead to longer workouts. The monitor is fairly simple unlike more expensive models there is no big LCD screen with a hundred or so different options. What the monitor does measure though is time, speed calories and distance. This bike has been designed with both beginners and experienced spinners in mind. Due to this the resistance for the JTX Cyclo is described as infinite and it may as well be. 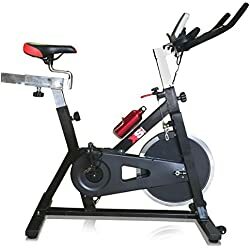 For the beginner there is more than enough resistance offered with this spinning bike. 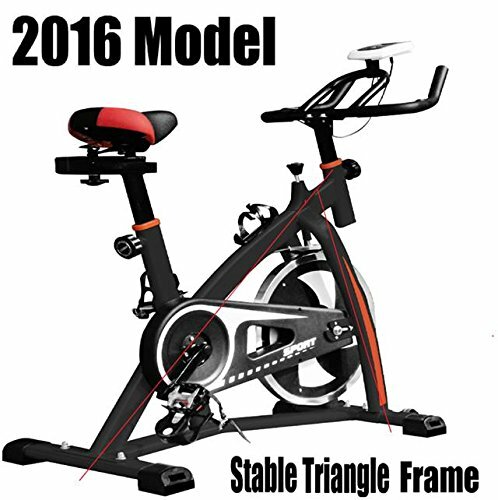 For the advanced user the resistance system simulates sprints and hills and provides a very challenging high intensity workout. 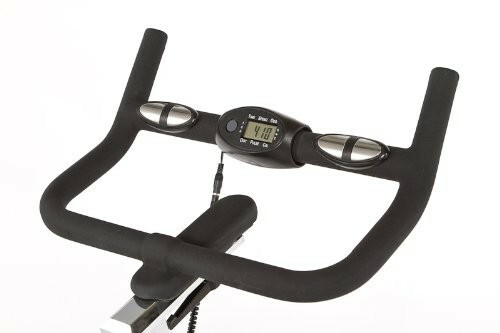 Not many spin bikes have a maximum user weight of 160 Kg, if your weight is lower than this expect a very sturdy and smooth ride. This Bike is so robust and sturdy I think it will still be here when I’m six-foot under. The wheel is so quiet and smooth. Easy to assemble and has plenty of adjustment. So far so good very happy with purchase. 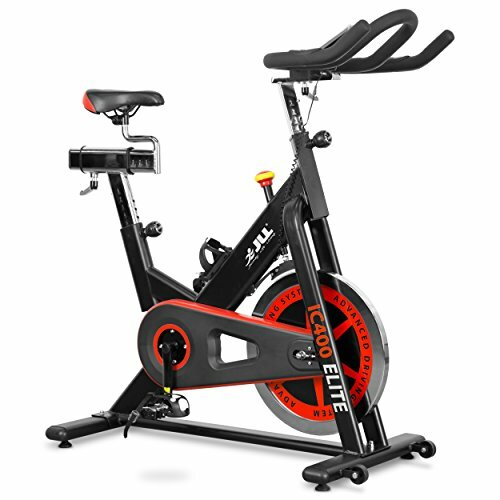 PROS – very sturdy, well-built, easy set-up, adjustable for levels of fitness. There is the usual bottle holder with this model and in addition it comes with a free water bottle. The JTX Cyclo is perfect for both the beginner and experienced spinner and is built to last. The design is very stylish and the overall feel of the bike is sturdy. With some of the best reviews on Amazon of any exercise bike, if it’s the best indoor exercise bike that you’re after then this is a hot contender.